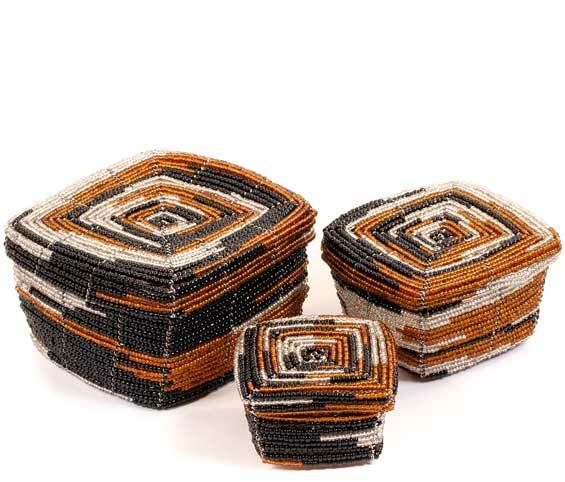 A traditional wedding gift, these handmade, Fair Trade boxes are meticulously woven using wire and shimmering glass beads. You will receive the exact boxes pictured above. 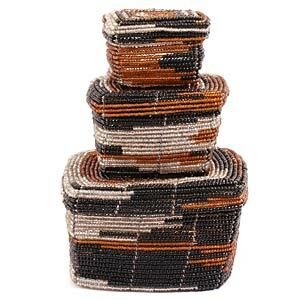 These baskets are traditionally given at weddings. The boxes usually contain the earrings and necklace that symbolize a married woman, and are given to the bride by her grandmother.